46 real estate companies among the fastest-growing firms in the U.S.
Trulia, Hawaii Life, Keller Williams Realty, Realty One Group and Pacific Union International were among the 46 real estate-related firms who made this year’s Inc. magazine list of the 5,000 fastest-growing privately held companies in the U.S.
Companies who applied and were chosen for the list are ranked based on revenue growth from 2009 to 2012. To be considered, firms must be independent, not subsidiaries or divisions of other companies; for profit; and had to have revenues in 2009 of at least $100,000 and revenues in 2012 of at least $2 million. Trulia, the 22nd-fastest-growing real estate company on the list, went public in September 2012. Texas-based MileStone Community Builders, which sells homes in several planned communities, topped the list of growing real estate companies with a whopping 17,938 percent revenue jump in three years, to $45.7 million. Illinois-based Pangea Properties was next on the list with a 6,218 percent revenue increase to $28.3 million. The firm buys, restores, rents and manages distressed buildings in troubled communities, and has more than 7,000 apartment units in about 270 buildings. National real estate asset management and default services firm Matt Martin Real Estate Management was third on the list. The Texas-based firm had $31.7 million in revenue last year, up 3,982 percent from 2009. Select real estate firms from the Inc. 5,000 list. Visit Inc.com to see all of the 46 real estate firms that made the list. Some firms that operate in the real estate field like Zurple, which provides software to real estate agents, are not categorized in the real estate category, but in the software category by Inc. Zurple ranked No. 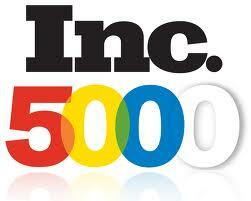 34 on the Inc. 5,000 list in 2013 with a three-year growth of 7,112 percent and a 2012 revenue of $7.7 million. Editor’s note: This story has been updated to note that some real estate-related software companies like Zurple were not included in the list above because Inc. categorized them as “software” companies and not real estate companies. To see the full Inc. 5,000 list, go here.